EghtesadOnline: Russian ride-hailing service Maxim is set to enter the Iranian market, a company representative Pavel Stennikov announced. Stennikov says the company has already received permits from Tehran authorities, Russian news service RBC reported. Maxim has launched a Persian website and added Persian to its application’s language options. The app is available for download on Google Play Store and Apple’s App Store. Furthermore, on its official website, the company has listed Tehran as one of the cities where it is operating, Financial Tribune reported. The section on Maxim’s website through which drivers can enroll with the service is still under construction. The Russian business is yet to disclose how much it will invest in Iran. In addition to the home base, Maxim operates in Belarus, Georgia, Kazakhstan, Tajikistan, Ukraine, and Bulgaria. Maxim’s move into Iran has received a mixed reception from market observers and professionals in the sector. Alexander Kostikov, Uber’s head of communications in Russia believes that Maxim’s entry into Iran is aimed at promoting the company’s image. Kostikov says that so far none of the major ride-hailing services has managed to establish a successful business by entering markets in developing countries. On the other hand the CEO of inDriver — another Russian online taxi service — Arsen Tomsky says “Iran is a huge, accessible market with 80 million potential customers.” However, he adds that investment risk is excessively high in the country. He adds, “However, Apple iDevices have a meager share of 11% in Iran’s smartphone market.” According to estimates, 6 million Iranians have an iPhone. It needs mention that for countering the unprofessional move by Apple, local developers and technology-based businesses have started uploading their applications on alternative iOS app markets en masse. The locally established application markets like Nassaab and SibApp provide Iranians access to the apps that have been removed from App Store. Therefore, the “competitive advantage” that Inshutin refers to may not work as effectively as the Russian businessman says. 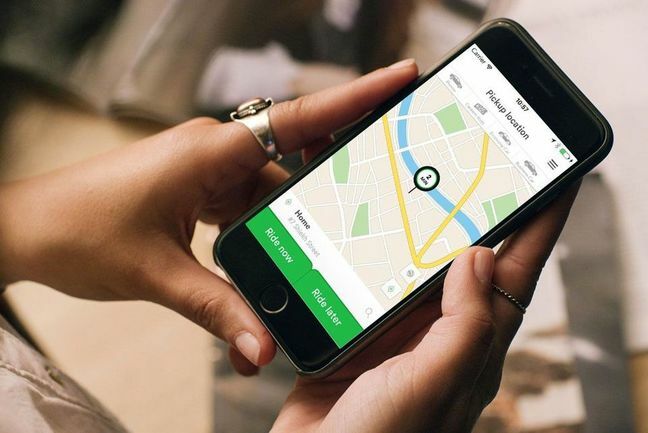 Since their introduction some four years ago, Iran’s ride-hailing businesses have always been in the limelight and the two main companies Snapp and Tap30 have attracted local and foreign investment. Snapp, the leading Iranian ride-hailing startup, has recently received almost 900 billion rials ($24 million) in investments from MTN — South African mobile operator which is present in Iran under the brand name MTN-Irancell. Last week, local media reported that Bank Melli Iran, owned by the government and the largest commercial bank in the country, has bought a 25% stake in TAP30 for 800 billion rials ($20 million). Tap30 is the second ride-hailing service after Snapp. In light of the fact that local ride-hailing services have a well-established foothold in the market, Maxim will likely have a tough job to assert itself and show that it also is in the game. The newcomer from Russia will also have to contend with the added challenges from traditional taxi companies that already are at war with their ride-hailing rivals and have often accused them of trying to “pilfer” their business and push the oldies into insolvency with their highly-discounted fares.